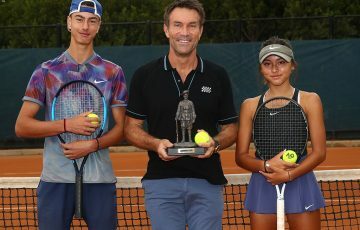 Todd Woodbridge believes eight new Italian clay courts at Melbourne Park could help unearth Australia's first French Open champion in more than 50 years. 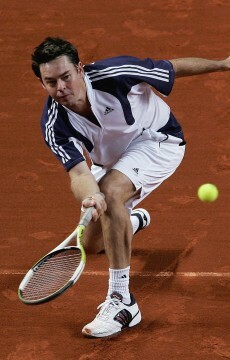 Like a dose of Kryptonite, clay has crippled the hopes of Australian tennis players for decades. 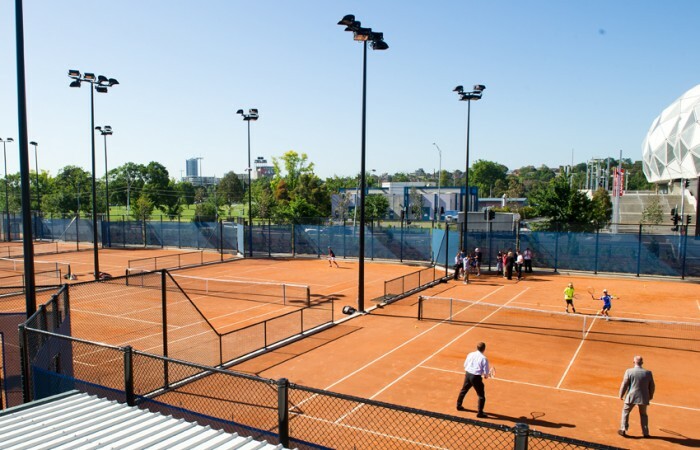 Now Davis Cup winner Todd Woodbridge believes eight new Italian clay courts at Melbourne Park could help unearth a tennis superman capable of giving Australia its first French Open champion in more than 50 years. 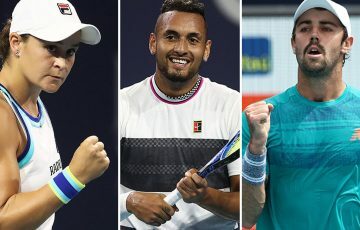 Woodbridge isn’t promising overnight miracles and admits the benefits of Tennis Australia’s (TA) concerted claycourt push probably won’t be seen for another 12 to 15 years. “There’s no guarantees, but it gives kids a much better opportunity. It gives them a better chance,” Woodbridge told AAP. A chance that a generation of Australian youngsters haven’t really had for a quarter of a century. Of the world’s current top 100 men, 80 grew up in Europe or South America, where clay is the dominant surface, as did 79 of the women’s top 100. This is no coincidence, according to TA’s head of men’s tennis who laments the demise of clay courts in Australia. “We actually learnt to slide and to defend on a slippery surface. The kids of the last 25 years haven’t had that,” Woodbridge said. “Clay, especially this Italian surface, is a crucially important part of the development pathway. “The Europeans don’t play all year on it – they play indoors in the winter – but they get this grounding that teaches them offensive and defensive play. “And Australian players have not been particularly good at offensive play for a long, long time. “We were serve-volleyers, we were aggressive, we were net-rushers. We were that type of player. “When the surfaces changed, just towards the end of my career, and became so much slower, it became so much harder to come forward. “The balls got slower, the speed got slower and the bounce got higher and we were still teaching on a low-bouncing court. “The modern game, tennis is always played on a slow, high-bouncing court. So we need to get the kids onto those types of surfaces and teach them. “I don’t think culturally the Australian mentality is going to change. I think it’s always good for us to have a point of difference by being aggressive. 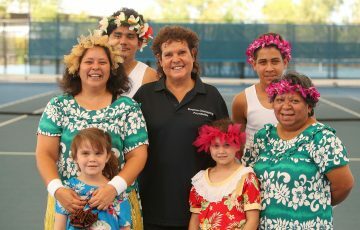 In addition of the $366 million initiative at Melbourne Park – home of this month’s Australian Open – Brisbane is housed with four Italian courts, Sydney two and TA and councils across the country are working towards introducing a whole lot more. 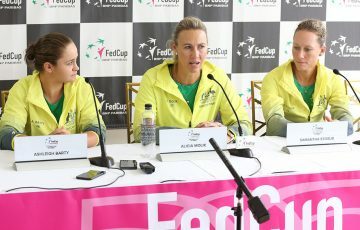 Woodbridge said the advancement gives Australia’s elite youngsters – and any others who pick up a racquet – a fighting chance against the rest of the world. “This now really allows the opportunity to get kids into proper camp situations to spend a serious period of time to work on their games before going to Europe at a younger age,” he said. 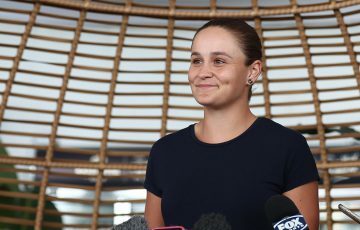 “So often in our history of tours in Australia, even from my time, we went to Europe and we spent the first four to six weeks actually finding our feet on clay, getting used to it, starting to play decent and then the season was just about over. “So when we send away kids who are 12 to 14 now, they can have a period of two or three weeks on a claycourt base, go to Europe and actually start on an even playing field. “So that itself is huge. “But also the development of athletes and the amount that they need to play and get into their bodies at a young age, playing on clay is so much better than playing on hard courts. In addition to establishing a claycourt base in Munich, TA has also assigned former junior French Open champion Carlos Cuadrado to the National Academy in Brisbane. The last Australians to win the French Open were Rod Laver back in his professional grand slam season of 1969 and Margaret Court in 1973. 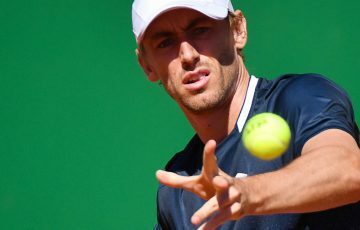 While Woodbridge can see 2010 runner-up and three-times semifinalist Sam Stosur contending again this year, he accepts it will likely be another decade or more before an Australian man challenges for the title at Roland Garros. 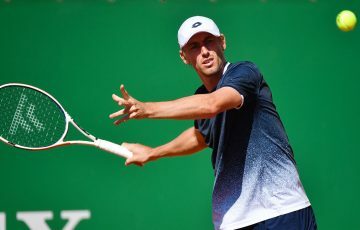 “If you look at our stocks, we’ve got some young guys who can play well on clay – Jason Kubler and James Duckworth,” he said. “Are they future French Open champions? Probably not. So you’re looking at another generation away. “Ten-year-olds are the ones that are going to get the full advantage of this.